Are you ready for the ultimate Caribbean experience? Visit the Cayman Islands. Composed of three islands surrounded by clear waters and coral sands, the Cayman Islands are the perfect destination to enjoy the vacation of a lifetime. Fly into Owen Roberts International Airport (IATA: GCM, ICAO: MWCR) on Grand Cayman island or Gerrard Smith International Airport (IATA: CYB, ICAO: MWCB) on Cayman Brac. With three different islands to choose from, you are sure to find the perfect accommodation. Looking for an underwater adventure? There is no better way to experience the islands than diving and snorkeling. Snorkeling is by far the easiest and most family friendly of the two. Get up close and personal with the fish in the warm waters of the Caribbean. Looking for a bigger thrill? 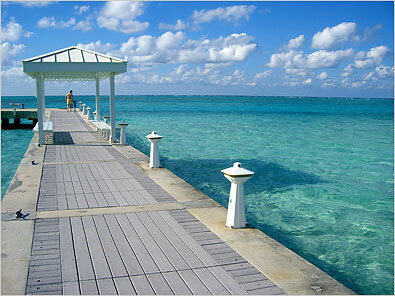 Grand Cayman is among the Top 5 for best diving destinations. Explore the depths with an array of colorful sponges and corals and breathtaking marine life. Swim with the turtles, come nose to nose with the sharks, and spread your wings in the bird aviary at Cayman Turtle Farm. Or hop on over to Stingray City, a once in a lifetime experience to wade in the water with the stingrays. Work on your tan, watch the waves roll in, try parasailing or rent a wave runner. Enjoy everything from the fresh air to the numerous activities that this outdoor playground has to offer. Ready for your next adventure? Fly to Grand Cayman today on one of Desert Jet’s very own private jets. To schedule your next charter flight contact us at (760) 399-1000 or charter@desertjet.com, where a charter specialist will be happy to arrange all your travel accommodations.